This weekend I took a break from SAA presentation-prepping and plot-wrangling in R to take a hike with my friend Anna Antoniou. Anna received a National Geographic Young Explorer grant to walk around the entire island of Cyprus with her brother, cousin and godbrother this summer. Her goal is to document the experience of life on an island that is sociopolitically divided through photos, video, and interaction with locals. It’s a really exciting project, and a great demonstration of what four-field anthropology is all about. However, in order to prepare for the ~500 mile journey, Anna has needed to break in her pack and hiking boots, so once or twice a week I’ve been tagging along with her on her perambulations. Anna and I training in Dexter. 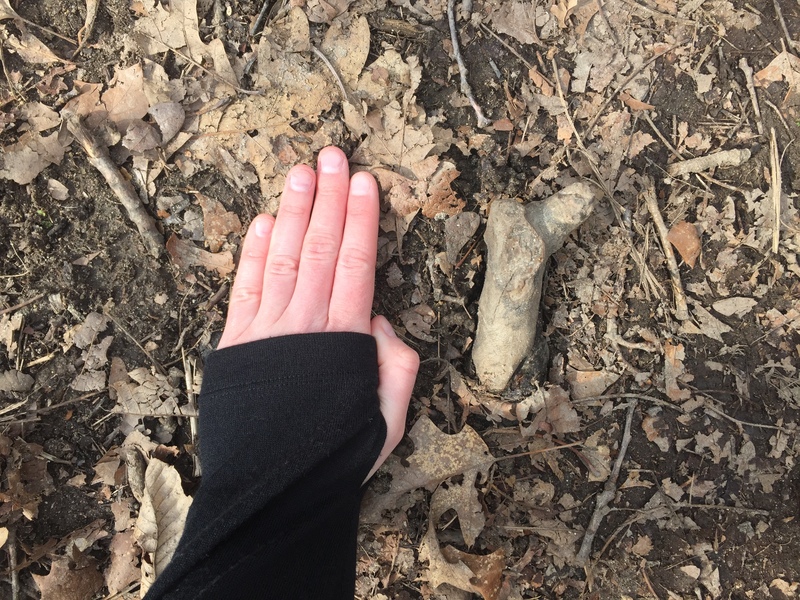 Given the size and the gracility, I initially thought of an australopithecine femur. 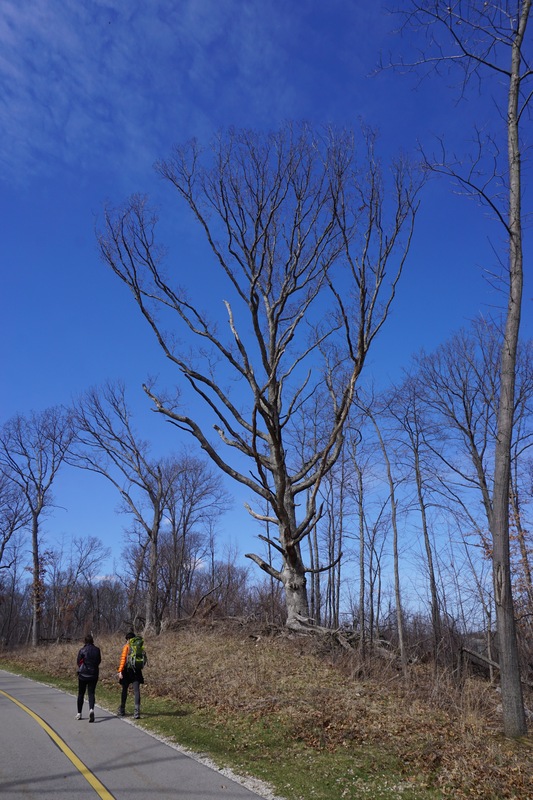 I called Lucy (top right), but my friend Caroline vehemently rejected this identification, claiming that the shaft was too thick. Her parallel was Swartkrans 82, a robust australopithecine femur. * Honestly I think Caro is on point here but I would like to experiment with adding polls to blog posts, so bear with me. Image Credits: First photograph taken by Z. Cofran. Image of SK 82 femur from class connection, here. Image of Lucy femur via Bone Clones, here. 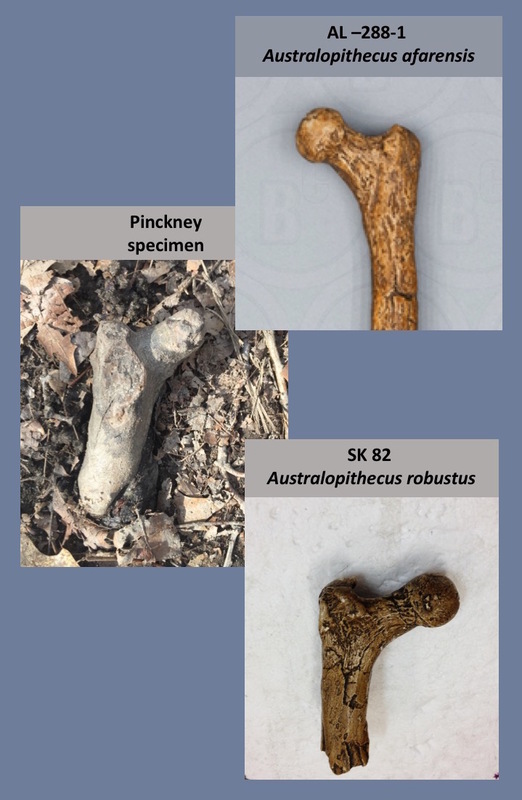 This entry was posted in Long Bones, Osteology Everywhere and tagged Circumnavigating Cyprus, Femur, Fossil, hiking, Lucy, Michigan, National Geographic Young Explorer, Pinckney, SK 82. Bookmark the permalink.